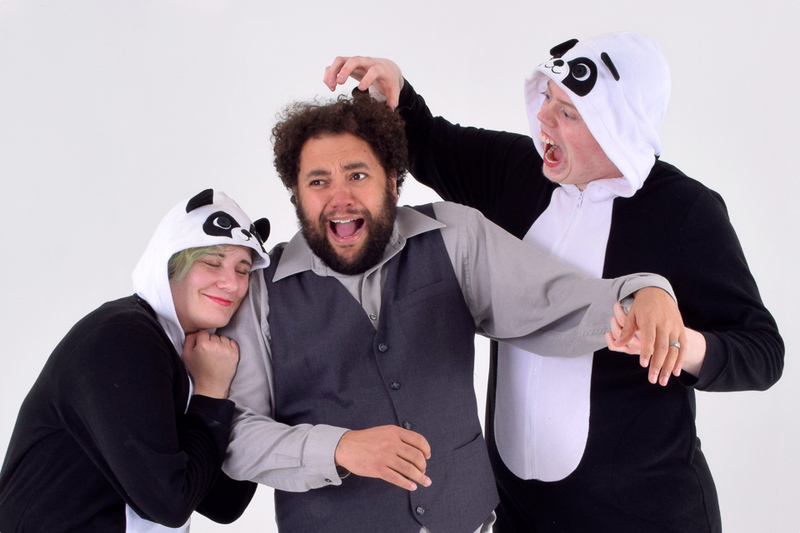 Cherry and Spoon: Fringe Festival 2016: "Caucasian Aggressive Pandas and Other Mulatto Tales"
Fringe Festival 2016: "Caucasian Aggressive Pandas and Other Mulatto Tales"
Summary: A series of comedy sketches about what it means to be biracial in America today. Highlights: This is a very funny and insightful piece about race in America, especially for those that fall into the "other race" category. Duck and his fellow cast-members (Suzanne Victoria Cross, Ted Femrite, and Kirsten Wade, playing characters of all races, genders, and species, plus Matthew Kessen as the droll narrator) take us through several of Duck's personal experiences, many of which are funny in retrospect, some of which are disturbing. We learn about the first time someone called him the n-word (he was 12), and the crazy questions and assumptions people have and make (you're from the Middle East, right? you could be Hispanic!). You'll have a good time, you'll laugh (the narrator makes the audience pledge to laugh if something's funny, and not judge someone else who's laughing at what they think is funny, kind of in the spirit of "Everyone's A Little Bit Racist"), and you might learn a little about what it's like to be in someone else's different-colored skin, or see your own experiences reflected back at you. Matthew Kessen is the narrator.